If someone from the past was suddenly to be transported to the present day, they would be struck by just how white everything is. The reason? Titanium dioxide. It is in the paint on the walls. It is in the paper that books are printed on. It is even approved for use in foods – though I think its actual use is mainly in tablets. Basically titanium dioxide is everywhere. You will not be far from some as you are reading this. Its use in cosmetics is probably one of its least important uses in terms of weight, but is still interesting nonetheless. Titanium dioxide is a naturally occurring mineral that has been mined for centuries for its remarkable whiteness. It is pretty white in its natural form and this is enhanced by processing it to remove impurities. This leaves a pure powder that reflects the full spectrum of the light that falls on it. This gives an intense white colour. One of the first and still one of the biggest uses is in paint. 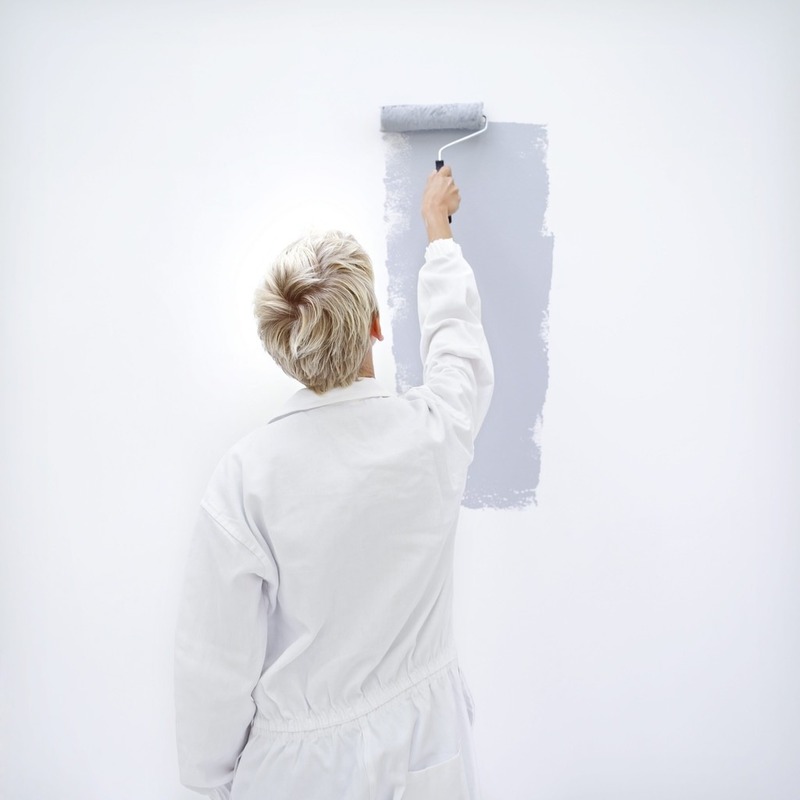 White paint is the most popular colour and that whiteness comes from titanium dioxide. If you have ever been decorating a sunlit room and painted all the walls white, you will know how bright and vivid the reflected light from fresh titanium dioxide is. The whiteness of titanium dioxide is obviously appealing. Most people, most of the time will prefer a product that is white and that is what titanium dioxide delivers. Compare Simple Soap, which doesn’t contain any with just about any other bar of soap and you will see the difference titanium dioxide makes. It can also give a white effect on the skin in colour cosmetics. Very few foundations don’t contain it. It contributes not only whiteness but opacity giving the products a satisfying solid look. Just the appearance benefits on their own would secure this pigment’s place in the cosmetic chemist’s cupboard. But its ability to reflect light gives it another purpose. It is very useful as a sunscreen. Titanium dioxide is a very effective way to protect the skin from UV radiation. This approach is known as a physical sunblock because unlike UV filters like oxybenzone and octylmethoxycinnamate no chemical interactions take place. Although the standard grade will reflect light and protect against the sun, it is possible to much do better. Most sunscreen formulations use titanium dioxide created specially for the purpose. The optimum particle size to reflect the most damaging radiation is a lot smaller than the regular grade. The physics of this makes it reflect light with a blueish hue when spread in a thin film. This means that sunscreens that contain a lot of titanium dioxide give your skin a ghostly appearance. This is one of their drawbacks, though I have often wondered if Goths see it as a positive advantage. Using titanium dioxide and other physical sunblocks is a lot easier if you aren’t trying to get to heroically high levels of sun protection. You certainly can achieve a very high level of protection if you put your mind to it. But because you are effectively putting a ground up mineral on your skin, high levels have a heavy draggy feel on the skin which make the experience of using the products not a lot of fun. It is a shame that so many people judge products by the SPF figure because a lower number that you like using and apply more often might well give a better end result. Titanium dioxide is a well behaved material that doesn’t give the formulator too many problems. You do have to remember that it is a dense particle that will sink to the bottom of a liquid formulation if you don’t take precautions to stop it. But keep that in mind and it won’t give you any trouble. There are some environmental issues surrounding its extraction and processing. Mining is not easy to do in a planet friendly way, and the mining of this material on a large scale has blighted some of the places where it is found. It also needs a lot of industrial activity to get it into a usable form which historically at least has led to pollution. (You can see a rather dull photo of pollution of the North Sea by titanium dioxide here.) Du Pont are one of the biggest users of titanium dioxide and also carried out processing of it. They have run into trouble with this, including fines and being billed to clean it up. They have also invested heavily in preventative measures for the future. Releasing a lot of titanium dioxide into rivers is particularly damaging. It blocks the sun and prevents photosynthesis disrupting water based life. So it has issues, and there is not much a consumer can do about them. Boycotting cosmetics containing titanium dioxide will not have much effect given that most of it is used in other industries. But many environmental pollution problems like this can be solved and often are solved. Let us hope that this one gets sorted out. I am afraid I have not been able to come to a conclusion on whether the situation is getting better or worse overall. But while it may not be good for the planet, at least it isn’t harmful in cosmetics in everyday use. There is quite a lot to say on this, but I think I’ll need a whole blog post to address it. This entry was posted in Ingredients and tagged ingredients on August 23, 2012 by Colin. Titanium Dioxide-free foundation (like you said, and as I told her at the time, good luck- it’s in just about all of them! ) She swore that it had been linked to Alzheimer’s disease, and suggested I do some research. Of course, I did, and the only link I found was the fact that the mineral is an ingredient in the prescription tablets used to treat the disease! I’m not always sure where misconceptions like this start, but I’m so glad there are sites like this to provide a voice of reason! As a makeup artist, I had concerns about TD, and also noticed many women are allergic to it! So I created a line of TD free foundation, face powders and other cosmetics at http://www.christopherdrummond. It is true, that TD cannot be avoided in some products, but we do our best to supply as many TD free products as possible! What is the ball bearing for? To encourage people to shake it? I remember some nailpolishes had the ball bearing inside. A very interesting post, I had never knew that there were environmental issues regarding mining titanium dioxide. I hope this one gets “cleaned up” too. Jessica, I wonder if the Alzheimer’s pills are white? In that case, the main role of the titanium dioxide would be solely to impart a white colour to the pills. I vaguely remember from a single lecture that the main pharmaceutical treatments for Alzheimer’s involve blocking the enzyme that breaks down acetylcholine (a neurotransmitter), and blocking NMDA receptors in the brain. As far as I am aware, titanium dioxide does not have any of these effects. And in any case, it is highly unlikely that manufacturers of Alzheimer’s treatment drugs would include titanium dioxide in the pills if they were linked to causing the disease in the first place. For almost two years, molecular biologist Bénédicte Trouiller doused the drinking water of scores of lab mice with nano-titanium dioxide, the most common nanomaterial used in consumer products today. She knew that earlier studies conducted in test tubes and petri dishes had shown the same particle could cause disease. But her tests at a lab at UCLA’s School of Public Health were in vivo — conducted in living organisms — and thus regarded by some scientists as more relevant in assessing potential human harm. Halfway through, Trouiller became alarmed: Consuming the nano-titanium dioxide was damaging or destroying the animals’ DNA and chromosomes. The biological havoc continued as …..
link below for rest of article. Link to AOL article removed by Colin to prevent increasing its page rank. Thanks for drawing that article to our attention RY. I am afraid it doesn’t really count as science without some references to the research being published in a journal. As written, we have no information on the dose or any details of the effect. If anyone is really interested I am sure Google will lead them to the alarmist article you are citing, but its value is mainly as a study in how to write in a rhetorical style designed to induce fear.